Dr. Kevan Lewis is board-certified and/or fellowship-trained in dermatology, dermatopathology, and Mohs micrographic surgery in Green Bay, WI. He is a highly specialized, extensively trained dermatologist and the only dermatologist in the state of Wisconsin with this unique training background in dermatology. Dr. Lewis completed his undergraduate and graduate studies at Stanford University. 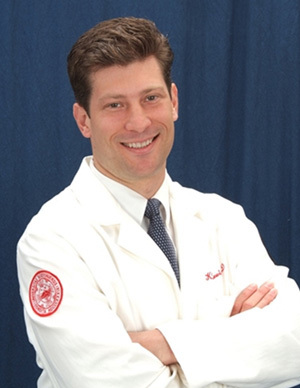 After graduating from the UCLA School of Medicine, Dr. Lewis pursued his dermatology residency training at Brown University, where he served as Chief Resident in Dermatology. Dr. Lewis then completed additional fellowship training in Dermatopathology at the University of Colorado Departments of Dermatology and Pathology followed by another fellowship in Mohs micrographic and Facial reconstructive surgery at the Mayo Clinic Department of Dermatology in Rochester, Minnesota. Dermatologist Dr. Kevan Lewis has been recognized repeatedly by his dermatology peers through grants and awards for his research on non-melanoma skin-cancer mortality, and elastic tissue disorders, among other areas. You can read about publications in the dermatology literature authored by Dr. Lewis. Dermatologist Dr Lewis received the Cutting Edge Research Grant award from the American Society of Dermatologic surgery, and was also awarded the Young Investigator Award for evaluating childhood melanoma mortality in America. He is still active in promoting the advancement of dermatology and has served on the editorial board of Journal of the American Academy of Dermatology. ©2019 The New Dermatology Group.